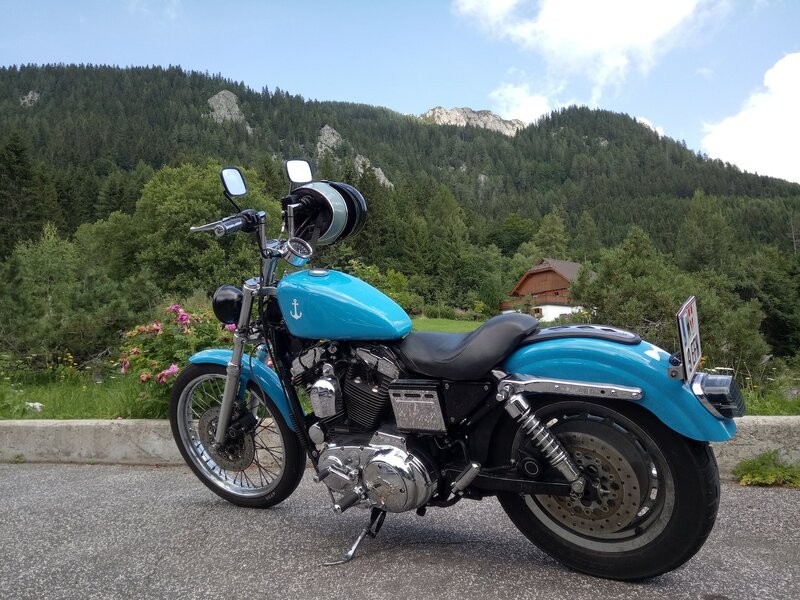 Gina is RISER AMBASSADOR and shares her motorcycle experiences with you on the RISER blog. During the time she is not on her bike, Gina is a fashion designer and has brought her two passions together. Next week she will publish her online shop and has put her focus on motorcycle clothing for women who want to wear something different apart from black. Follow her in the RISER app, check out her routes and be curious about her collection she will release next week. Our blog post is already in the press-garage and the components are pretty good to look at. Until then you can get inspiration for your next trip from her. Carinthia is the southernmost province of Austria and I grew up here. The borders to Italy and Slovenia are a stone’s throw away and so I spent a part of my childhood at the sea. However it also felt like years in the car, since my mum made the country roads unsafe with her green lame duck at that time. What always led to bare nerves of all fellow travellers and could only be made good again with a visit to the Luna Park (amusement park) at that time, let my biker’s heart beat faster today. There are so many great routes between the three countries, you can spend the whole summer exploring them. It’s nice that the tours are easy to do in one day. If you ask my mom where the next tour should go, it’s always: San Daniele! She loves the small town on a hill in the Udine region, where she has her regular pub, her favourite waiter and always the same parking space. 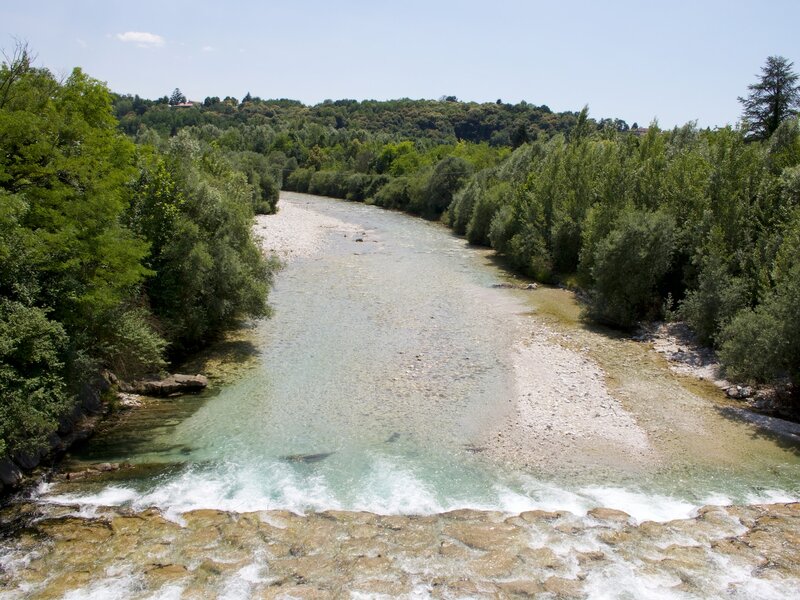 She probably also loves San Daniele because it is a place of deceleration and relaxation – it belongs to the “Cittàslow” movement. But only if you don’t come to the famous ham festival – this week “Mayhem” is in this otherwise so tranquil place. Meanwhile I know the route to San Daniele through the beautiful canal valley inside out and try to make the way home always different. 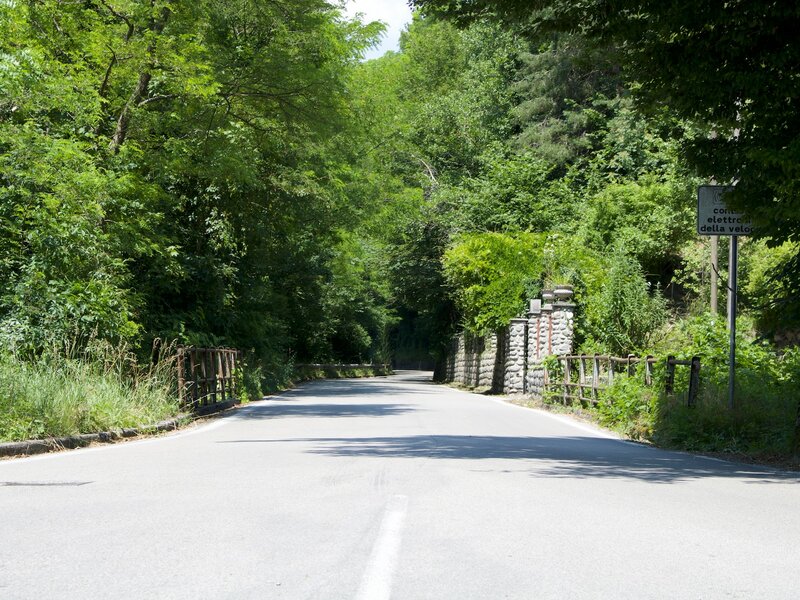 For example we drive from San Daniele via Buja to Tarcento. The small community with the Julian Alps in the neck and the lush Friulian landscapes ahead, holds true jewels with its old villas. 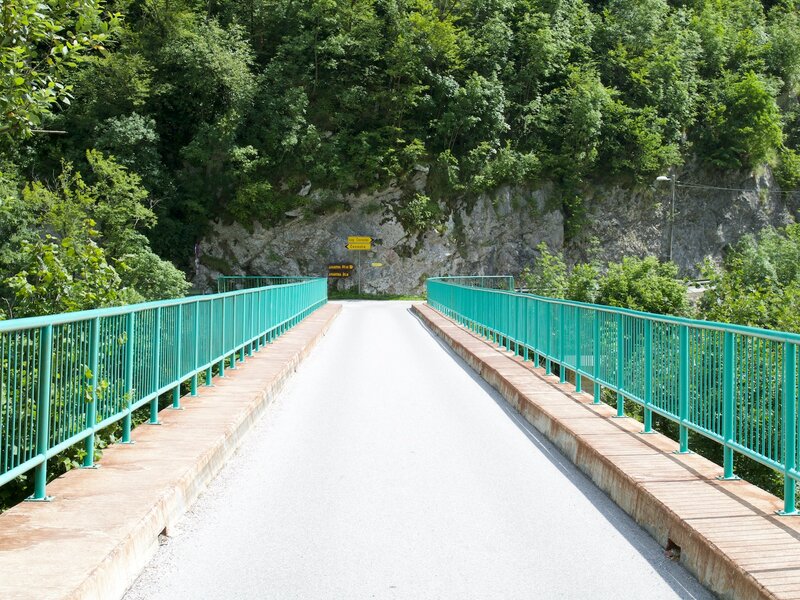 A small stone bridge is the entrance to the winding and narrow mountain road SR646, which connects Italy with Slovenia. The approx. 35 km long route ends at Sočatal near Zaga. 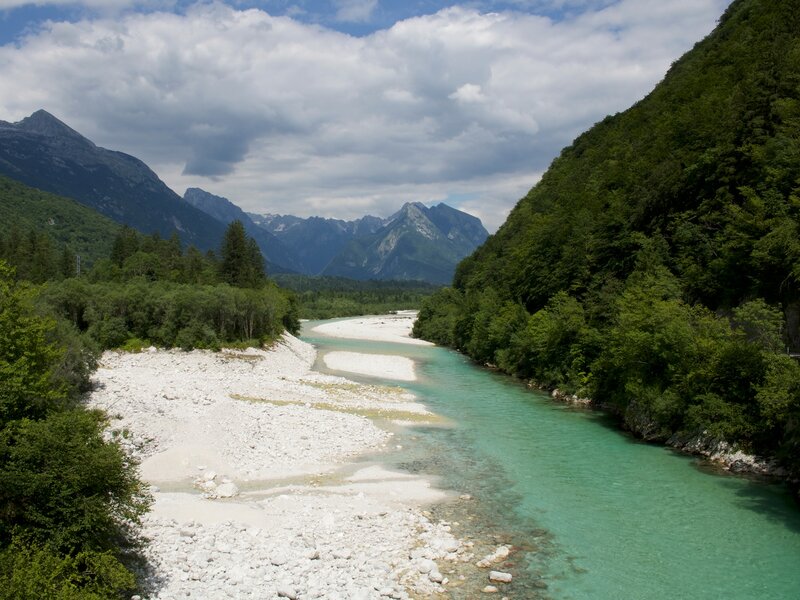 The Soča inspires me again and again with its crystal clear turquoise water and generally the area around the Vršič-Pass is an absolute recommendation for an extended tour. Since mother once and never again drove the Vršič-Pass – at the thought of the hairpin cures with cobblestones she still starts to scream today – the Predil-Pass to Tarvis is a super alternative. As a reward for a long tour you should treat yourself to the world’s best pizza at the old border station in front of Thörl-Maglern. The second tour to the Friulian region is Prepotto, a small village in the vineyards around Udine. This village has been the tip of our companion Roland. 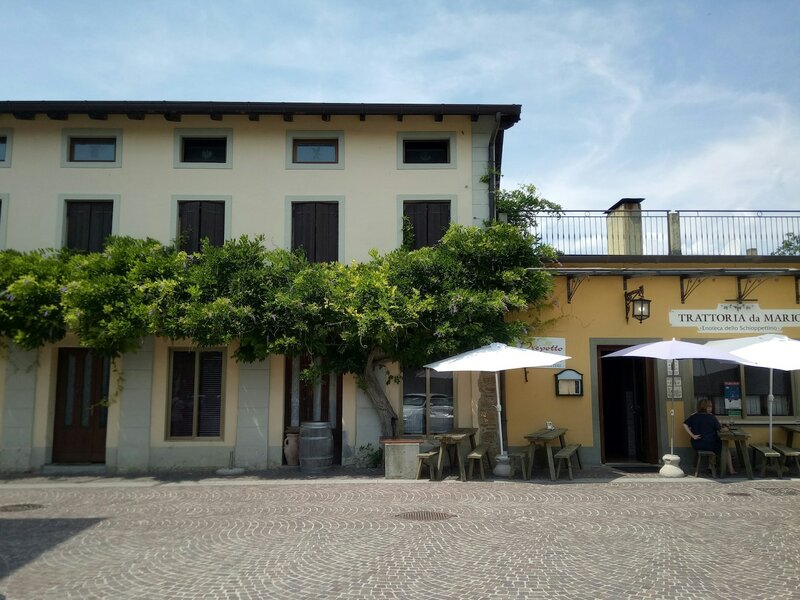 Supposedly you can eat and drink well here – and Roland knows a trattoria with the most delicious dishes of the whole region. But since the way is the destination, we first drive over the Wurzenpass to Slovenia. The narrow, winding road has partly 18% gradient and definitely seen better times. 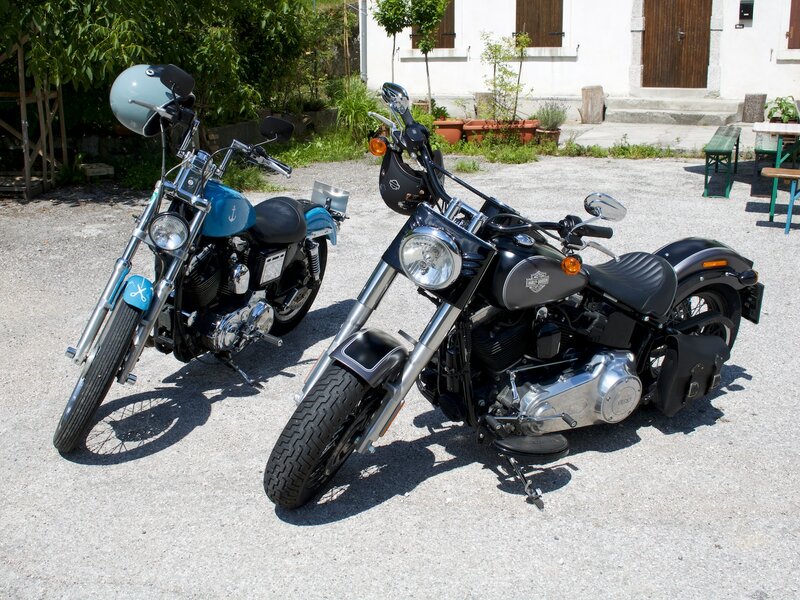 But my old Harley is doing well and I follow Roland on his Ducati. At the Wurzenpass there is the Bunkermuseum, a military complex built during the Cold War and kept secret for a long time. We take a short break and take a quick tour through the area. Somehow I find the tanks and equipment frightening. We continue over the Predilpass from the Italian side – a little change is a must. Again it goes through the Sočatal on the road 203 and we stop briefly in Kobarid. Here the hunger announces itself already – no miracle, there are two super good restaurants in this place, which I can highly recommend – Hisa Polonka with regional kitchen (for small money) and Hisa Franko with the world-best cook at present(for big money). Roland shakes his head, we have to go on – I haven’t earned any food yet. We cross the border to Italy and explore the vineyards. Just drive without looking at the navigation system – here it is really fun to turn off at random and indulge in the beautiful landscape. At some point we arrive in Prepotto and take a break at the aforementioned Trattoria Da Mario. Supersimpatico, an Italian tangle, best food, reasonable prices and the secret recipe of the chef – everything fits here, and those who come to this area can stay here confidently. After a short sidetrip to the Capuchin monastery of Castelmonte we return through the canal valley. 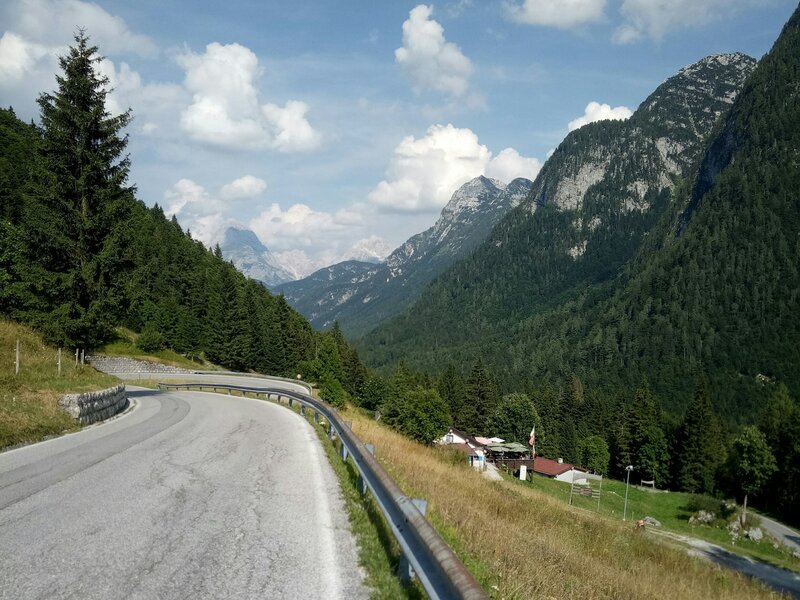 On the way we turn off to the Sella Nevea – a beautiful mountain stretch with a few bad hairpin bends. On the way home the impossible happens to me – a bird makes a kamikaze and flies against my helmet. Fairwell, little bird – this text is dedicated to you.